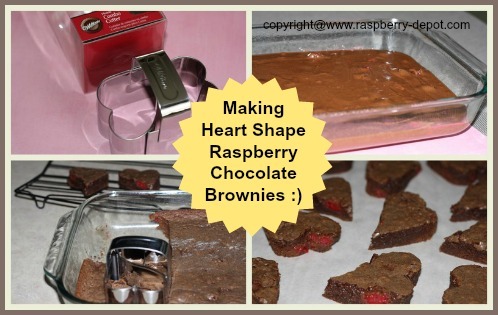 This Valentine Brownies Recipe makes lovely heart shape Raspberry Chocolate Brownies; perfect for a Valentine's Day Recipe! If your "Special Valentine" or your "Special Valentines" enjoy the fabulous flavour of chocolate and raspberries combined ... they will LOVE these chocolate brownies made with fresh raspberries! 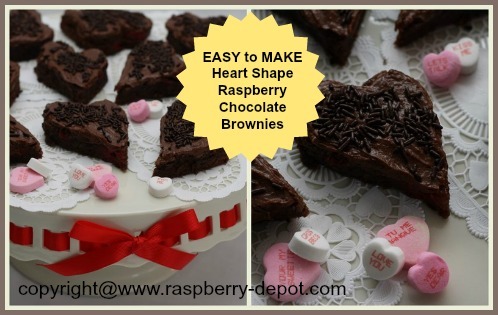 Make Heart Shaped Brownies for Your Valentine! 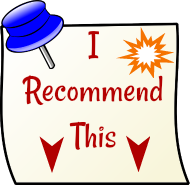 Note - If you prefer a more chewy, less cakey, type of brownie, then you may prefer, (I do), the "Best Brownie Recipe" on another page on this site. 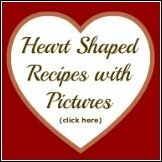 (You can still use the procedure here for making the heart-shaped brownies). I have discovered that the texture of the "best brownies" is actually more suitable for the cut-outs. 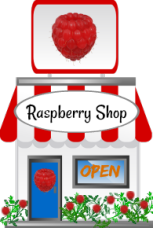 In a bowl, with an electric mixer or whisk, combine the sugar, and margarine until well combined. Add the eggs and mix well. Add the vanilla, flour, and salt, continue to mix until thoroughly combined. 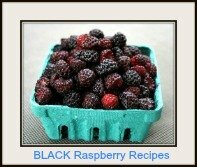 Gently, so as not to break them up too much, fold in the raspberries, just until combined. Transfer the batter into a greased 9" x 13" baking dish (metal works best for brownies). Bake at 350° F for 25 - 30 minutes or until done. Allow brownies to cool for about 15 minutes and then cut out heart shapes with a cookie cutter. In a bowl, mix with an electric mixer, the brown sugar and the butter until creamy. Add the water, cocoa, vanilla and icing sugar, continuing to beat until smooth and creamy. Ice each brownie and decorate with chocolate sprinkles, if desired. Making Heart Shape Brownies for Valentine's Day!